Dimensions 0.23 by 6 by 9 in. Amazon.com description: Product Description: The education landscape is shifting. Information accessibility grows while attention spans shrink. Media is king and yet teachers are expected to effectively harness it for learning while also managing the distractions technology tools bring. Keeping up with the times while keeping time-wasters and senseless screen staring down is new and difficult territory for the most seasoned educator. Classroom Management in the Digital Age offers teachers competency and confidence. 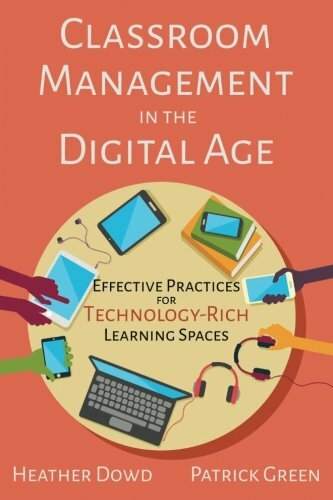 If you have devices in your classroom already or if you're moving towards implementing tablets, iPads, Chromebooks, or any other device, Classroom Management in the Digital Age will partner with you in creating relevant classrooms where learning rules.